We have different range of Skirts panels that are available in any designs as per the request placed to us also the collections of new western trends designs. 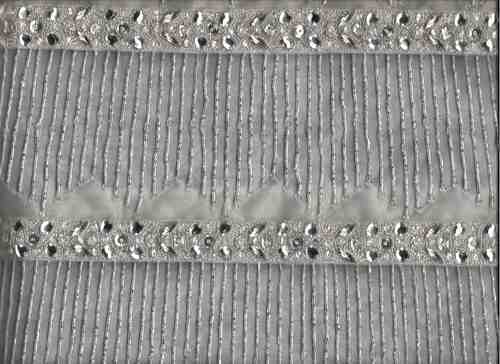 This is a beautiful skirt panel for bridal wear and its pattern reflects our craftsmanship as well as the durability. 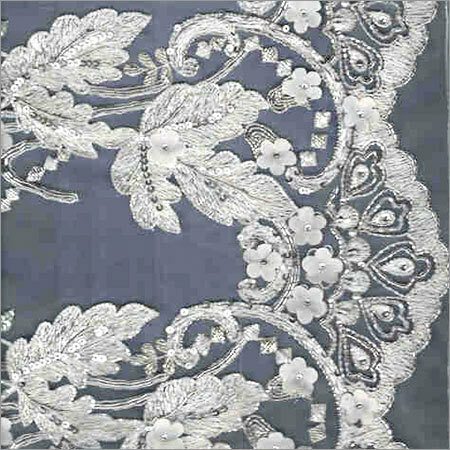 We are always successful in reaching the satisfaction of all our existing clients since we can take up challenges to create any kind of embroidery on very delectated fabrics. 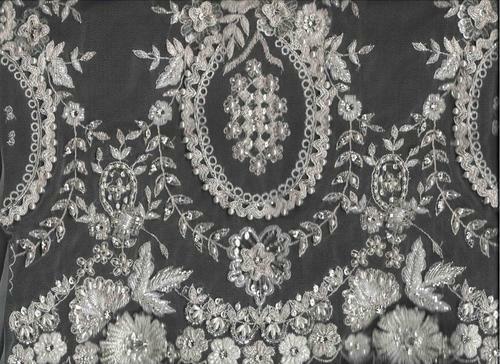 Materials Used: Japanese pearls, Czech, sequins, glass beads and matching thread. Price: USD 72, INR 4400, for size 12"x18"
This is a new design for skirts, made for trendy pattern. Color: White (can be made in any colors). Materials Used: sequins, Indian Glass Beads, Matching silver threads.